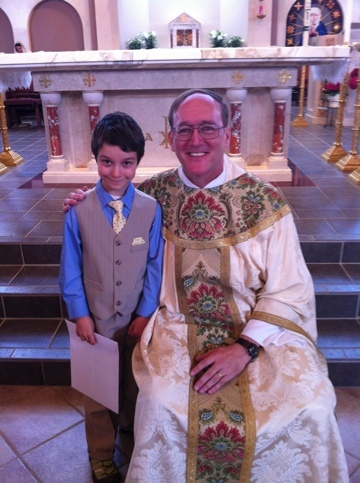 Our grandson Joshua received 1st Communion today on Easter. We are proud of this bright boy. Thanks Fr. Ed for now bringing the NEXT generation of Ray’s into the heart of the Catholic Church! Run thru Rome on Easter including Pope’s Blessing.